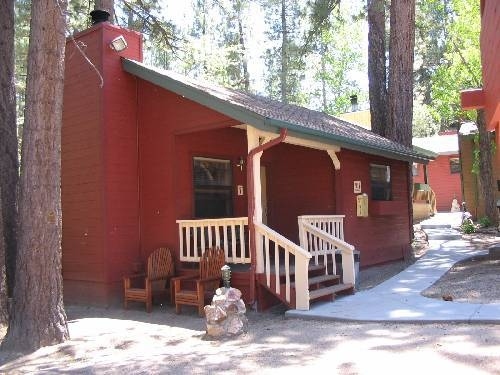 This is a one bedroom one bath cabin next to our common area and playground. Amenities include a queen size bed in the bedroom and a double futon in the living room, kitchenette, wood-burning fireplace, full bath and cable TV/VCR. This cabin has an open floor plan from the bedroom to living area. No Pets Allowed. Non-Smoking.